The devastating drought that withered North Korea’s crops last year left farmers in some regions of North Korea struggling to pay back loans they acquired to support their crop planting, local sources report. “People are generally growing more worried by the day, particularly the farmers in some areas. It’s already winter, but we’ve received no grain rations from the government nor help with relief from debts incurred during the planting season. 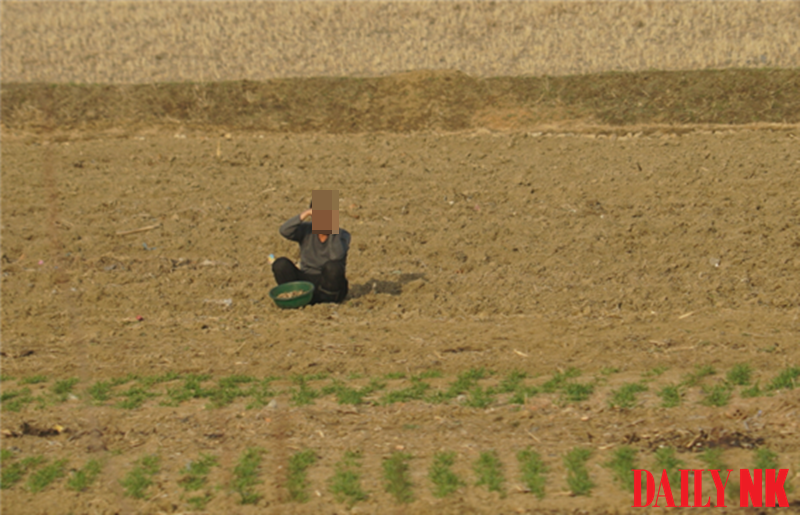 The debt collectors are relentless and we farmers are agonizing about what to do,” a source in South Pyongan Province told Daily NK. In provincial areas, loan sharks are reportedly approaching debtors for in-kind payments as remuneration for advances provided last spring but are finding themselves walking away empty-handed due to the poor harvest. “Verbal and physical threats won’t get you anywhere if there’s nothing to give. Those of us in rural agricultural areas are really struggling,” a source in North Hamgyong Province added. One resident working as a middleman to collect debts in Pyongsong’s Yangji-dong was supposed to have received approximately 10 tons of rice or the monetary equivalent for loans made last spring, but has only received two tons in repayment. “Around here the brokers are completely focused on debt collection and are riding around on their bikes all day every day to track down debtors and pressure them to pay back their loans,” he said.